Tanzania has successfully switched off Analogue Broadcasting and moved to Digital Terrestrial TV. Experts expressed pessimism over the capability of the East African Community to be on time. Tanzania however, has switched off analogue television two years earlier than the International Telecommunication Union (ITU) deadline of 17 June 2015. Tanzania Minister of Communication, Science, and Technology Mr Makame Mbarawa made the announcement on 16 February 2013 in Dar-es-Salaam during a talk with Zambian Deputy Minister for Information and Broadcasting Services Mr Mwansa Kapeya. Mr Mbarawa noted that Tanzania successfully kept to its 31 December deadline for the switchover. Tanzania will become the first country in the East African region to abandon analogue. To this regard, the Tanzania Communications Regulatory Authority (TCRA) over the past months has been challenging stakeholders to ensure they provide universal services. 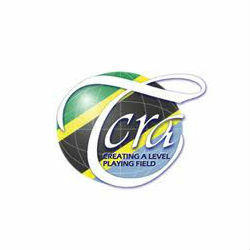 TCRA director general Mr John Nkoma said that the Tanzania government recognizes the potential of Digital Broadcasting. It has taken positive steps to put in place suitable environments to help it thrive. “The communications sector is growing rapidly, stakeholders need to support social and economic development through value addition in the services they offer,” he added. According to TCRA’s latest statistics, till mid 2012 the migration rate was approximately 25 percent. Since then a lot of areas have been covered. This was mainly pushed by the Tanzania government’s fiscal incentives to Digital Broadcasting Companies. Digital Broadcasting will necessitate application of a different broadcasting technology. This will oblige viewers to buy digital integrated television sets or Set-top boxes. One of the main challenges in the migration process has always been to get Set-top boxes cheaper with a higher quality, easy to install application on a massive scale. Government has been advised to offer incentives through waiving taxes and coordinating retail distribution.